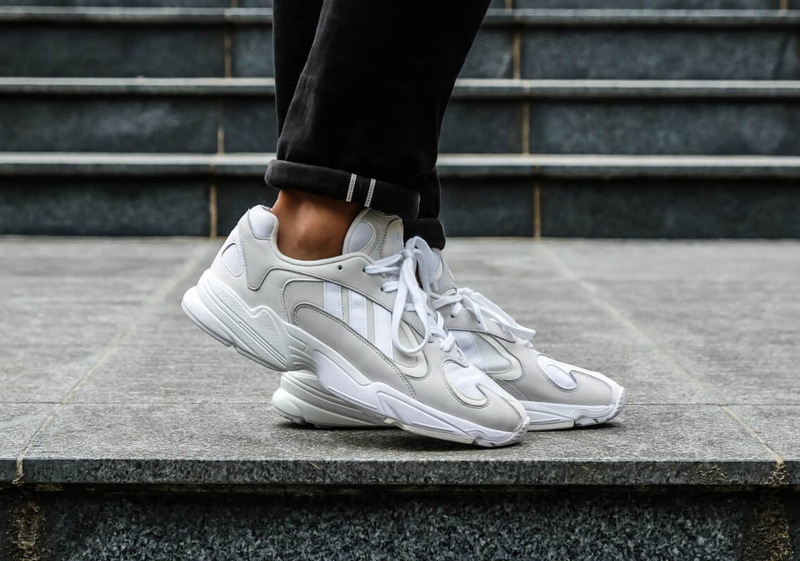 adidas’ new chunky YUNG-1 sneaker is set to take on its cleanest colorway yet, by way of this angelic “Cloud White” color scheme. A near replica of 1997’s Falcon Dorf silhouette, this slightly modified version comes equipped with less branding than that model from over twenty years ago as the Performance logos are replaced with a simple tre-foil logo at the tongue. We’ve already seen the shoe launch in the orange/navy and even as part of collaborative affairs withe WARDROBE.NYC, while the upcoming adidas Dragon Ball collection is also set to house this revived model in a Frieza-inspired purple and white motif. This simple color scheme is an intriguing GR release for the increasingly popular silhouette, and is available now on adidas.com and Three Stripes stockists like Asphalt Gold for $120 USD.